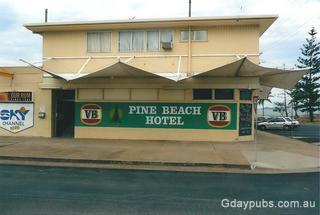 Pine Beach Hotel Located 19klms south of the township of Yeppoon and 44klms east of the City of Rockhampton. Bar, Bistro and bottleshop with magnificent views overlooking the bay to Great Keppel Island. T.A.B. for the punter.